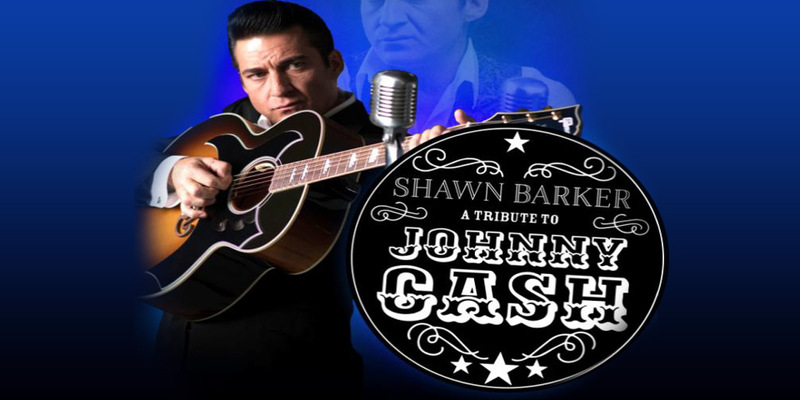 Paquette Productions Presents Shawn Barker – A Tribute to Johnny Cash! Yes, Shawn Barker is back! Direct from Las Vegas with his brand new show. This special Tribute to Johnny Cash is an accurate and energetic recreation of an American music icon. With his striking resemblance, spot on mannerisms and baritone voice, Shawn Barker embodies the character and spirit of Johnny Cash. Accompanied by a live band, come hear all of your favourite Johnny Cash hits: Folsom Prison, Ring of Fire, Boy Named Sue, Jackson, and Hurt, just to name a few.